Did a Saturday Night Live sketch last week hint at a future hard to envision in today’s bitter political climate — a future in which black and white people join forces against a broken government? That’s what Colleen Wessel-McCoy hopes. She and hundreds of others are working to organize a New Poor People’s Campaign in the spirit of the movement Martin Luther King Jr. started nearly 50 years ago. “We were immediately sending this sketch around to others,” said Wessel-McCoy, who works for the Kairos Center for Religions, Rights and Social Justice. With nearly 11 million views on YouTube, the sketch casts Doug (Tom Hanks) as the lone white contestant on the parody game show Black Jeopardy! To their surprise, black contestants Keeley (Sasheer Zamata) and Shanice (Leslie Jones) find they have a lot in common with Doug, who’s wearing a “Make America Great Again” hat and a T-shirt with an American eagle on the front. The stereotypes fly: They all prefer scratch-off tickets over 401(k)s and thick women over skinny ones. They’re all fans of Tyler Perry movies. They all have a shade-tree mechanic. And they all worry that the election is rigged. “What is: Come on, they already decided who wins even before it happens?” Doug answers. But while blacks and whites may share the same suspicions about the political process, it comes from different places. Our distrust stems from the government’s commitment to white privilege and restricting our civil rights. White people’s resentment seems to grow as nonwhite and LGBT people’s rights expand. 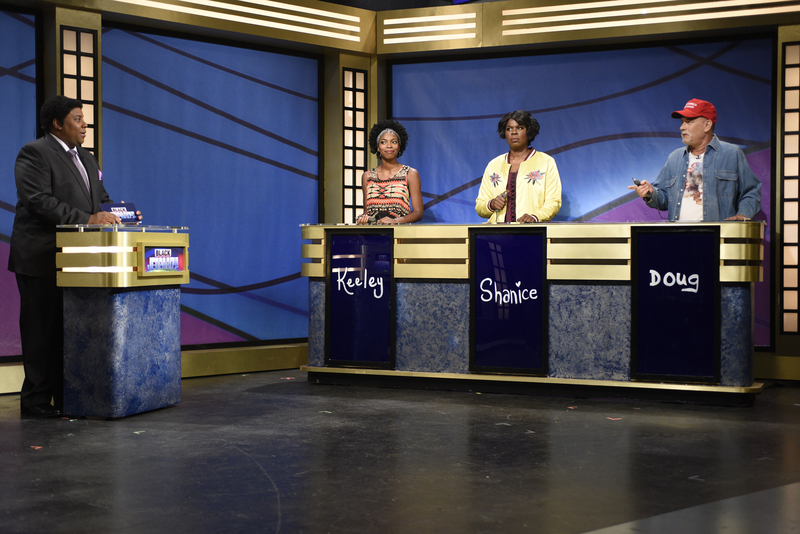 (From left to right) Kenan Thompson as Darnell Hayes, Sasheer Zamata as Keeley, Leslie Jones as Shanice and Tom Hanks as Doug during the Black Jeopardy! sketch on Saturday Night Live on Oct. 22. Regardless of race, everyone but the most affluent suffer when affordable housing and health care is out of reach, when the water supply is polluted and the justice system needs to be completely restructured, Wessel-McCoy said. But instead of committing to a better future, many white people are stuck in the past. In a poll released last week, just over 70 percent of Republican presidential nominee Donald Trump’s supporters (nine out of 10 of whom are white) said America has changed for the worse since the 1950s. That’s before the 1954 Supreme Court decision that desegregated public schools, before the Civil Rights Act of 1964 and before the Voting Rights Act of 1965. More white people live below the poverty line than black people — 17 million to 10 million, based on the most recent census figures — but rarely do the two unite across class lines. “There are so many poor white people,” Wessel-McCoy said. “They can’t eat that privilege.” King and many other civil rights leaders knew that. 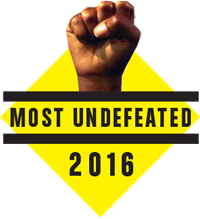 The Poor People’s Campaign would be a nonviolent, multiracial protest in Washington, D.C., “to assert and win their right to a decent life and respect for their culture and dignity,” King said. Four months later, on April 4, 1968, an assassin killed King in Memphis, Tennessee. The campaign began on Mother’s Day, but it ended a month later with fewer public policy changes than organizers had hoped for. That “new and unsettling force” King spoke of has yet to emerge. Then, as now, white elites persuade less affluent white folks to vote against their best interests, to forsake class solidarity for white superiority. The other contestants give Doug the hard side-eye.